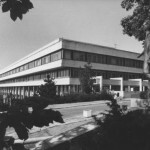 The cinematographic infrastructure in Slovakia was significantly enhanced by the establishment on 1 April 1963 of the Slovak Film Institute (SFÚ), which also took over responsibility for the archive of the Bratislava branch of the Central Film Distribution Office, itself operational since 1958. Although this Institute did not operate as an independent institution with legal subjectivity until 1991, the essential conditions for its archival, documentary and research activities were created in the 1960s. Something of a reorganisation took place in the field of film production when, after the abolition of the central approving bodies in 1968, creative production groups were formed with partial independence in terms of content and production. The creative group under the leadership of literary advisor Albert Marenčin and head of production Karol Bakoš was permitted to apply creative development in the field of feature films. Its short-lived dramaturgic plans incorporated a number of topics and screenplays which, following the forced termination of the reform process and the return to ideological conformity, were doomed to extinction. 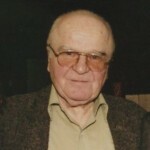 News, publicity and documentary films also underwent a revival of content in the 1960s, bringing to the fore creative personalities of various generations including Karol Skřipský, Vlado Kubenko, Martin Slivka, Dušan Hanák, Dušan Trančík, Ladislav Kudelka, Rudolf Urc, Štefan Kamenický, Otakar Krivánek, Pavol Sýkora, Milan Černák, Vojtech Andreánsky and Mikuláš Ricotti. Non-feature film work became a significant means of social reflection. In addition to revealing contemporary and recent historical themes that had been taboo until that time, Slovak documentary filmmakers also played a significant role in recording the social situation in 1968 and the occupation of Czechoslovakia by the armies of the Warsaw Pact states. The documentary film Čas ktorý žijeme (‘The Time in Which We Are Living’), the extraordinary issue of the film weekly journal with entitled Čierne dni (‘Black Days’), the documentary Tryzna (‘Funeral Ceremony’) about the funeral of Jan Palach and other films remain today the key sources of authentic film material about the historical events of 1968 and beyond. After 1969, as a consequence of the federalisation of the state, Slovak cinematography became organisationally and financially independent from Czech cinematography and the former centralised organisation. The management and financing of films was transferred to the Slovak Ministry of Culture. The Slovak Film Centre was established in Bratislava, incorporating two enterprises – Slovak Film Distribution and Czechoslovak Film Bratislava (from 1972 re-named as Slovak Film Works Bratislava – Koliba). In the 1960s, for the first time in its history, Slovak cinematography became part of the modern European film context, and in terms of value and artistry, a prominent part of Slovak culture. This decade represented the creative culmination of Slovak film in its type, genre and thematic diversity. Many artistic and film values that are part of the golden fund of Slovak cinematography and culture originated at that time. Unfortunately, the forcible occupation of Czechoslovakia in 1968 and the process of ‘normalisation’ – the restoration of continuity with the pre-reform period – which followed brought this creative period to a sudden end.